therock, 20 Feb 2009the iphone is for business...i dont think so. i know a few businessmen who traded their iphone... moreMajority of kid's round here use Nokia's. Business people use Blackberries, iPhone's and WinMo. I guess that would explain why Nokia lost 15% of it's smartphone marketshare last year and they are closing labs and cutting back on R&D expenditure in Finland. Anonymous, 20 Feb 2009Obviously they never synced with exchange or used any of the thousands of Apps available. "Obviously they never synced with exchange or used any of the thousands of Apps available." Anonymous, 19 Feb 2009You left out the N85, N96, N97 and other boring variations. Wonder when they'll come out w... moren85, n96, n97 boring? can u watch tv on the iphone?,,,i dont think so. n96 and n97 are capable of that (also the n85). now thats what you call a multi-media device. they are worth it for their price. you probably cant afford them. How does it fare against the upcoming omnia hd, you think? Would u still go for this phone? therock, 20 Feb 2009the iphone is for business...i dont think so. i know a few businessmen who traded their iphone... moreObviously they never synced with exchange or used any of the thousands of Apps available. Anonymous, 19 Feb 2009I can go buy a camera with better specs in a toy shop for $20, it even comes in pink with Barb... morethe iphone is for business...i dont think so. 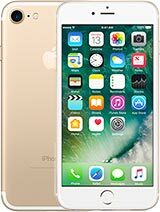 i know a few businessmen who traded their iphone's for the e71 and the e90 because they said the iphone is more a kid's toy. Majority of kids nowawdays own an iphone, therefore it is more a kids toys. therock, 19 Feb 2009"LED flash on these toys is useful only for childish shots for Bebo." at least it is useful... moreI can go buy a camera with better specs in a toy shop for $20, it even comes in pink with Barbie dolls on it. It doesn't do other childish things like MMS and sharing your latest Britney ringtone with the other kid's with bluetooth. I use my phone for business, I don't need another Nokia kid's toy. therock, 19 Feb 2009let me school you about the variations of the n95 n95-1 international version n95-2 intern... moreYou left out the N85, N96, N97 and other boring variations. Wonder when they'll come out with something new. Anonymous, 19 Feb 2009I find the iPhone camera very useful at least it takes clear and decent photo's, the 5800 is w... more"LED flash on these toys is useful only for childish shots for Bebo." at least it is useful, not useless like the iphone. u say the iphone takes a decent shot? because it has a big screen!!! without autofocus and a great lense the quality is still not up par with the n95 and the 5800. Anonymous, 19 Feb 2009I find the iPhone camera very useful at least it takes clear and decent photo's, the 5800 is w... moreatleast the 5800 touchscreen has a dual led flash. im sure they are powerful. topetot (philippines, 19 Feb 2009guys can u help me which is which 5800 or iphone 3g? help me distinguish which is appropriate ... morethe 5800's bundle package is worth it. included in the package is an 8 gb memory card. not that many downlable applications yet because it has the new OS. I am sure later on there will be available applications/software to download. the iphone has a fast connection to the media. I give it a 6 out of 10 rating because the camera part is weak due to no auto focus and a poweful cam flash. therfore, apple should have left out the camera part. again the n95 still rocks. very versatile and durable smartphone. topetot (philippines, 19 Feb 2009guys can u help me which is which 5800 or iphone 3g? help me distinguish which is appropriate ... morebuy the 5800 touchscreen. The bundle package is worth it. An 8 gb memory card is included in the package. Not that many applications can b downloaded yet because it has the new 0S. Im sure applications and softwares wil be available later. Tuta, 19 Feb 2009iPhone is great, it just need a better camera. If I wanted a good camera phone I will go to sa... moresince you said the nokia crap tube...lol...then the "i" in the iphone means "idiots". the iphone needs a powerful cam flash. with that included in the camera part, then the iphone will the 'it' smartphone. Anonymous, 19 Feb 2009The N95 did rock, which is why Nokia has been making them with minor variations for the last 3... morethats they made variations in the last three years because the n95 cripples the samsung 5 mp. samsung will always be second rate. Anonymous, 19 Feb 2009I find the iPhone camera very useful at least it takes clear and decent photo's, the 5800 is w... morethose are reviews only. i have also read that the photos for the the 5800 touchcreen from nokia 5800 users are good. those people that are saying that 5800 takes bad picture dont know how to use the camera settings. nokia is well known for led flashes on camera smartphones to be powerful enough in dark places with low light conditions. my n95 can take pictures in the dark. as far as the iphone's camera, without any light its useless. i am sure you know that. BARCELONA, Feb 18 (Reuters) - Copying a few pages from the playbook of Apple Inc's (AAPL.O) iPhone strategy, which brings many of the powers of the Internet to mobile phones, is no way to beat the computer interloper at its game. But that's exactly what many of the world's biggest handsets makers are trying to do with new copycat phones and services that ape key features of the iPhone. At Mobile World Congress in Barcelona, the world's biggest annual trade show for the wireless industry, Apple is everywhere and nowhere. The company avoids such events, preferring to unveil products at its own venues. The handset business will produce more than a billion phones this year, but is suffering a crisis of confidence brought on by sharply changing business models that has only been exaggerated by the global economic slump. "Imagination is expensive in a year such as this," said Richard Windsor, a technology analyst at the conference who is with Nomura Securities in London. The giants of the phone industry -- Nokia (NOK1V.HE), Samsung Electronics Co Ltd (005930.KS), LG Electronics Inc (066570.KS), Sony Ericsson (6758.T)(ERICb.ST) and HTC Corp (2498.TW) -- are humbling themselves to copy a company whose phones account for only 1 percent of handsets. A year ago, phone makers with quick-acting design teams came out with the first touchscreen iPhone look-alikes. 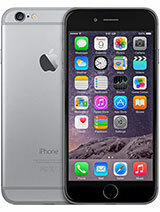 This year, they are going further by seeking to duplicate the iPhone's user interface software. Privately, an executive with a major European telecommunications operator complains: "Everybody is trying to catch the iPhone. They are pushing things out to market that just aren't ready for prime-time." Analysts say the clones often perform slowly and are less intuitive for users than the iPhone. Case in point: South Korean phone maker LG Electronics introduced an entry-level smartphone using Microsoft Corp's (MSFT.O) Windows Mobile operating system and a new iPhone-like look called "3D S-Class User Interface." 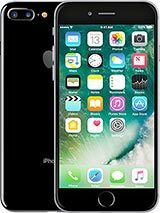 The most obvious difference with the iPhone is that LG's GM730 gives users three-dimensional views of its features and applications, which appear like cubes rather than pages, as they do on the iPhone. But a demonstration of the iPhone wannabe reveals a characteristic flaw familiar to personal computer users. LG's logo and then the Windows brand hang on the screen as 5, 10, 15, eventually 30 seconds pass. The phone is booting up, just like a computer, but unlike many of the faster phones. Apple has sought to scare away competitors by threatening legal action to defend the hundreds of patented ideas it has rolled into the iPhone. How rivals can work around such patents remains a big question. The proliferation of "me-too" products is a trap because products must take shortcuts or sacrifice profit margins to undercut Apple on price. That digs equipment makers into a deeper hole because smartphones have been faster growing and more profitable than other handsets. And Apple isn't sitting still. 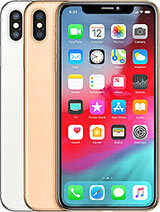 Some Wall Street analysts say the Silicon Valley-based company is gearing up to offer a slimmed down $99 iPhone for consumers -- or $299 without carrier subsidies -- by June. 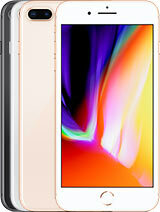 A lower-price iPhone would likely run on slower networks, contain less memory and have lower touchscreen and camera resolution, one RBC Capital analyst predicts. Apple, which enjoys estimated margins of 55 percent that are nearly twice the industry average on their current line-up of phones, will need to accept margins around 40 percent if it markets a $99 phone. But that's still well above the 30 percent industry average. The phone industry is envious of Apple's AppStore, which lets iPhone users download thousands of small software programs to personalize the way they play games, listen to music or find directions. Letting users decide what software they add to phones marks an upending of long-standing industry practices of tightly controlling device features, based on what handset makers and their key customers, the operators, thought best. The roll-call of companies announcing their own software stores this week include Nokia, Microsoft, LG and France Telecom SA's (FTE.PA) Orange mobile network. Samsung and BlackBerry maker Research in Motion Ltd (RIM.TO) had previously announced stores of their own. Orange said its own store will feature only Orange-approved products when it opens in May. Selected outside software developers will be invited "in the future," it promised. Comfortable old habits of control die hard. i ahve had this fone for around 4 months and i personally think it is the most confusing and stupid because when yhuu fone call someone it heats up and goeas straight to the internet. 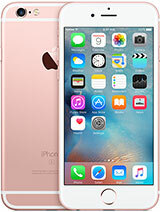 i have been the iphone user for 6 month.. i m totally new to apple! 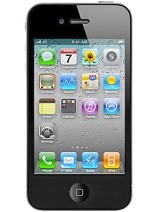 and i prefer window more than apple.. but.. iphone is the best! so far never hang.. stable.. its depends of wat u need.. i just need 3G not video call, and the best thing i like its only with my finger i can write n draw, no need stylus. Try use ur finger to write chinese in other Fon.. u know wat i mean.